WOW..unbelievable turn key opportunity to buy your very own resort overlooking Table Rock Lake. Minutes from Silver Dollar City, Branson, Table Rock Lake access, championship golf and so much more. This cozy resort features a 3 bedroom private house/cabin w/fireplace, three 2 bedroom cabins and four 1 bedroom cabins, all producing a solid income. Large flat screen tv's with cable in all cabins and all fully furnished. Also includes large in-ground swimming pool, playground area, BBQ grills, etc. 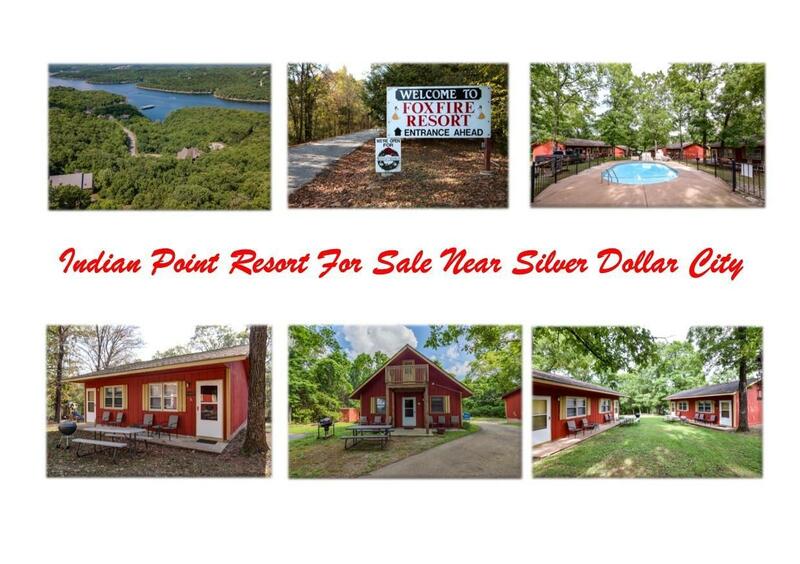 This cozy little resort is nestled in the Ozark mountains surrounded by nature but yet close to all that Branson & Table Rock Lake have to offer.